This first palette would make my double page spread more summery feeling with the blues representing the sky and the orange with the sun. This could give off a more chilled feeling and be good for a festival magazine. Although it is probably too hectic for a simple indie music magazine. The next pallet is very colourful, it has a wide range of colours which makes it interesting to the reader. The problem would be pulling off a magazine with so many colours, it could look too cluttered and even childish. This third pallet is very simple and would give off a sophisticated look with a flare of wildness. The green would be used to grab the readers attention and the other shades would be used to build the rest of the magazine. The only problem is the lime green is quite a harsh colour and could be overwhelming. I have decided to use this pallet it would be great for my double page spread because it is simple. 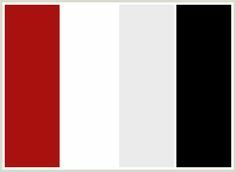 The red could be used to get readers to focus on certain parts and the other colours can be used for the rest of it to make it minimilistic. Having just one main colour readers can focus on with a greyscale background would be very effective at keeping their attention.